The picture in the background is a view from the top of Gara Mountain in al-Ahsa, Saudi Arabia. The Municipal Council in al-Ahsa has failed to achieve the hopes of its members and the citizens who elected them, member of the council Hejji al-Nejaidi admitted. In a brief interview with Okaz daily al-Nejaidi accused the municipality of transferring SR17m that were allocated to develop Prince Meteb bin Abdulziz Road to some unknown project. He also accused the municipality of ignoring the council and not taking it seriously. “Eighty percent of the council’s suggestions and requests to the municipality have not been addressed.” Oddly enough (or maybe not) the head of the municipality also heads the municipal council, of which half members are elected and the other half are appointed. I have voted for al-Nejaidi back in 2005. Today’s picture comes from a meeting between the deputy minister of education Norah al-Faiz and senior officials at the education department in al-Zulfi. Where is the deputy minister? Was she cut out of the picture like last time? No. This time she is not actually in the picture. No, she was not videoconferencing from her lofty office in Riyadh. She was in another room nearby, probably in the same building. The meeting was conducted using what al-Riyadh daily called an “audio circuit.” Al-Faiz has emphasized the importance of prayer rooms in girls schools, and instructed teachers to watch their students to make sure that they are praying on time. File this under the FYI category. The Ministry of Interior said they launched a human rights department. The department will receive remarks and complaints from the public about the performance of security personnel. They have toll free telephone numbers, 989 from inside the Kingdom and 0096612928888 from outside the Kingdom, for members of the public to express their opinions or report those security officials who have broken the law. The department also aims to ensure that the public is made aware that security officials are not above the law and that justice will take its course against those who abuse their powers. The service allows the public to send their remarks in Arabic and English. The ministry said it has sent some staffers on scholarships to the US and Canada where they attended crash courses in English and computer terminology. My family used to live in the heart of Hofuf, the Old Kout neighborhood. My grandfather and his two brothers owned small adjacent houses in those narrow allies, before they moved out to newer areas of the city over 40 years ago. My grandfather passed away when my father was only six years old, and my grandmother had to work to provide for the family, but they could not even afford to have electricity. The financial hardships have caused my father to think of dropping high school and get a job, but his mother firmly refused and insisted that he continues his education. He studied under the dim light of a kerosene lamp, and went to become teacher. May his soul rest in peace. Roba’s recent post about her fascination in abandoned spaces has encouraged me to do something I have always wanted to do. I wanted to go downtown and take pictures of the old houses, although I have never lived in them but something about them just kept pulling me. Maybe it was the stories my family have told me, maybe it is something else, but I have finally decided to go there with my new camera. Sadly, most of the muddy houses have been destroyed by rain and fires. Despite going there many times with my father when I was younger, I could not recognize the houses. The rest of the neighborhood is mostly deserted except for a few houses occupied by poor workers. 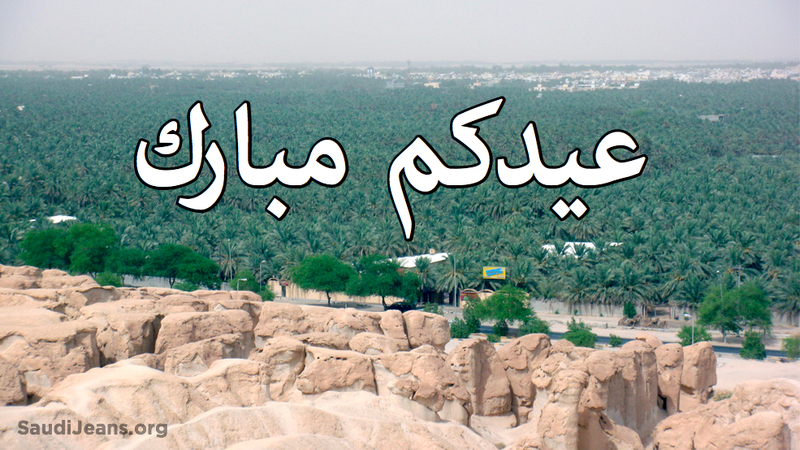 My beloved hometown of Ahsa (aka Hassa) has entered the race of candidates for the New 7 Wonders of Nature Nominees. This is the second campaign for the New7Wonders Foundation after their first campaign to choose the New 7 Wonders of the World.